Dana Lawrence built a life of lies in order to defraud unsuspecting victims, including a pilot, a rabbi and a boyfriend’s mother, authorities say. FBI Special Agent Mark Hastbacka was perplexed. It was May 2017, and he was in the middle of interviewing a middle-aged woman from New Hampshire. After more than an hour, Hastbacka still knew almost nothing about her. The woman had come in for questioning after Hastbacka received a tip about suspicious behavior while she was working a new job as a grant writer for the city of Nashua. In short, Hastbacka was told, the woman was caught asking for the wiring instructions for city bank accounts. She went by Genna Kaplan. But Hastbacka immediately suspected something was amiss. There was no record of any Genna Kaplan living in the state of New Hampshire. In fact, there was no trace of a Genna Kaplan in her age bracket having ever existed. Pressed by Hastbacka, Kaplan finally coughed up her real name: Dana Lawrence. But she wouldn’t reveal much else, and she left almost no digital footprint. By then, Hastbacka was confident that he had enough to charge her for using someone else’s social security number. Hastbacka took Lawrence into the backseat of his FBI vehicle to transfer her into federal custody. That taunting challenge from Lawrence resulted in Hastbacka learning that she wasn’t your run-of-the-mill con artist. Over the next several weeks, the scope of Lawrence’s decades-long, cross-country crime spree would come into focus. The FBI found evidence that she had built a life of lies in order to swindle at least seven unsuspecting victims — including a pilot, rabbi and a boyfriend’s mother — out of hundreds of thousands of dollars, authorities say. Lawrence had evaded law enforcement for more than 20 years by using 19 different aliases across 16 states, the FBI says. All the while, the FBI says, she was carrying out schemes that ranged from her pretending she was pregnant to posing as an Ivy League-educated attorney. At times, Lawrence even used her young daughter as her prop, the FBI says. These frauds included telling victims she needed money because her “niece’s” parents had died in a car crash. Hastbacka and the other investigators also learned that Lawrence had a total of six children with six different men, leaving a dozen damaged lives in her wake, not including all of her other victims. 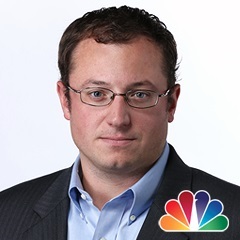 NBC News made multiple attempts to contact Lawrence through her website, social media accounts and associates. She never returned the requests for comment. The crumbling of Lawrence’s house of cards was set in motion after she offered her services as a grant writer for the Nashua mayor’s office in the fall of 2016. Kim Kleiner, the mayor’s chief of staff, was happy to have the help. Nashua was in need of a new soccer field and a playground for the local elementary school. “She seemed excited and she seemed capable. She’s very smart,” Kleiner recalled. But it didn’t take long before Kleiner and her colleagues noticed something was off with the office’s newest volunteer. First Lawrence pushed back when told she had to run potential grant applications by her superiors. Then she was found to have tried to get access to the city’s bank account numbers in what she described as part of an effort to solicit grant money, Kleiner said. The most troubling episode came after Kleiner told Lawrence her role with the mayor’s office wasn’t working out. For Kleiner, the threats to her family were a tipping point. Hastbacka accompanied a local police officer to Lawrence’s home where her boyfriend told them she had left for New York. The boyfriend, Nick Panteleakis, had told the same story when the local officer showed up without Hastbacka days earlier, Hastbacka said. Fifteen minutes after Hastbacka and the detective left the apartment, Panteleakis called Hastbacka’s cell phone with a different story. “She'd been hiding in the basement the whole time,” Hastbacka recalled. 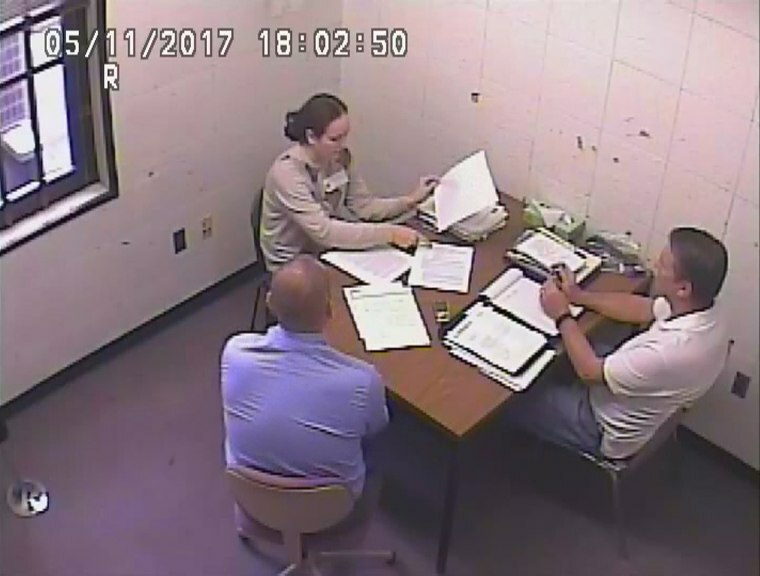 Lawrence agreed to go to the police station for an interview in part, Hasbacka believes, because before he and the detective left her apartment, they’d taken paperwork, a number of cell phones, a laptop and various IDs in different names. Lawrence initially insisted that she was indeed Genna Kaplan. When Hastbacka told her he knew that she provided someone else’s Social Security number on her apartment rental application, she said she did so because she was running from an abusive ex, according to Hastbacka. Lawrence finally gave up her name, but her penchant for avoiding bank accounts and credit cards complicated the effort to fill in who she was, the FBI said. Without much of a paper trail to follow, Hastbacka started Googling the names he had found in the paperwork from her apartment. “This woman is crazy! If you knew her in the past I would suggest that you stay the hell away from her,” one post reads. As he dug further into Lawrence’s past, Hastbacka noticed a pattern. She would go on dating websites or visit hotel bars looking for men, and then tell the men she was pregnant with their child, sometimes after just one date, according to Hastbacka. Hastbacka said she seemed to target a particular type of man in her schemes, which often involved setting up credit cards in their names. “They all seemed to be well-to-do professionals — attorneys, pilots, business owners. None of them have ever been married before. None of them had any children from any previous relationship. So most every one of them was looking for that in their life,” he said. Men weren’t her only victims. In one case, she conned a family out of $10,000 by promising that they could adopt a child from her, only to tell them later that she lost the child in a car accident, according to the FBI. Hastbacka’s digging led him to Kevin Little. When Little met Lawrence in 2000, he was bartending in Orlando. Lawrence left a $200 tip on a $70 tab. The next night, Little said she came back with a corporate card from Lucasfilm claiming she worked for George Lucas, the Star Wars filmmaker, in New York City. Lawrence said she was in town to take care of her sick mother, and over the next few days, she continued visiting the bar, ultimately leaving more than $2,200 in tips, Little recalled. Little and Lawrence ultimately had a one night stand, and not long afterward, she told him she was pregnant with his child. After their daughter Avery was born, Lawrence took Avery and skipped town. Little eventually won custody of Avery after Lawrence was arrested in New York City in 2005 on fraud charges. He said Avery hasn’t seen her mother since. “It was heartbreaking to talk to him because he really believed it,” Hastbacka said. As he pieced together Lawrence’s past, Hastbacka learned that Lawrence had at least six children, each by different fathers. But one child’s name came up more than the rest. She used her daughter as a "prop"
Kennedy was Lawrence’s second child. She became a key part of several of Lawrence’s schemes, according to the FBI. “Kennedy was the one child that she tried her best to keep with her while she was on the run,” Hastbacka said. Lawrence often portrayed Kennedy as a niece whose parents died from cancer or in a car accident, the FBI said. “Whatever story was most sympathetic at the time,” Hastbacka said. Kennedy finally broke away from her mother when she was 12 or 13. The final straw came when Lawrence told her they had to run away from yet another problem. “I knew everything at that point, how my whole life was a lie and she was a terrible person,” said Kennedy, who was then 20. Lawrence was charged with only one count of identity fraud in connection with using a Massachusetts resident’s Social Security number on her apartment application. The authorities never charged her in any of the other suspected crimes because of the statute of limitations, according to Hastbacka. She ultimately pleaded guilty in the identify fraud case. When it came time for Lawrence’s sentencing, Kennedy made an unconventional request. “Kennedy actually asked to give a victim impact statement, even though she wasn't technically a victim because she wasn't out any of the money or identity fraud,” Hastbacka said. She took the stand at the very end of the hearing. “I just wanted to say that I know that in the system there is a certain way of doing things, and I respect the system, it works, but I think that using a fake Social Security number is like stealing a piece of bubble gum compared to everything else that she's done,” she told the judge. Lawrence was sentenced to 18 months in prison. She was released on probation in August, with specific stipulations that she can’t engage in any job or volunteer activity that would give her access to others’ personal information. Appearing on the Today show Friday, Kennedy said she believes that her mother is still a threat.